In the previous section, we noted that cladding is an important part of the building envelope. From the substrate out, envelope layers include vapor control (such as a housewrap or water-resistant barrier), thermal control (insulation), the building structural support (framing), air control (HVAC and fenestrations), and an external weather-resistive layer (cladding and siding). With the exception of the framing, the other layers are lightweight and do not contribute to structural support. In traditional cladding systems, a substructure must be built over top of the exterior substrate as a way of securing the cladding load. This means that when cladding is installed, its railing system needs to be secured through the other insulating layers and into the framing. And that railing system needs to support not only the gravitational load of the cladding panels but also any additional wind load and snow load that impact the panels. Moreover, each attachment point from the railing to the substrate is a thermal bridge that needs to be broken in order to maintain the energy performance of the building. In short, the railing systems are an incredibly important part of the cladding system. Cladding systems are installed over the substrate using a series of rails, often in a grid form, that are attached to the exterior of the building and secured to the substructure by means of some form of fastener, such as a screw. While attachment systems vary between manufacturers, the general preparation and installation process tends to be similar. 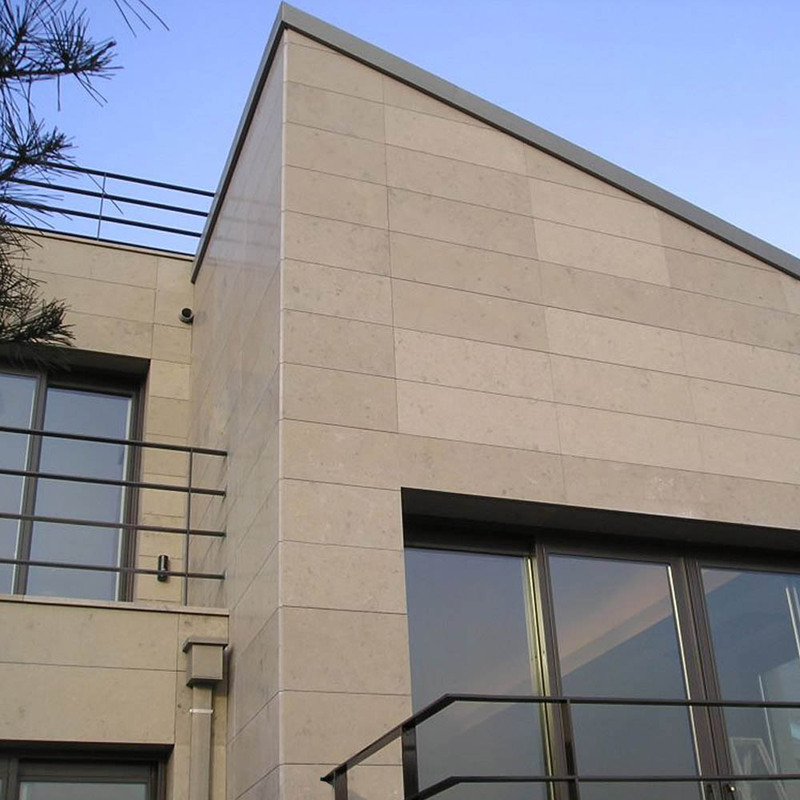 Prior to installation, there is a lengthy and complex process to prepare a substructure on the wall surface. This substructure is what the cladding will be attached to, and the support system must be customized to each project. Many different components are needed for this phase of the project, including shims, C-channels, hat channels, T-angles, metal clips, and Z-furring channels. Each item needs to be properly measured and installed correctly; this is a time-consuming and error-prone process that can add unexpected costs and delays to the project. After the substructure is finished, the cladding support system can be attached. Systems are usually a series of rails, often in a grid form, that are attached to the exterior of the building and secured to the substructure by means of some form of fastener, such as a screw. Once the rails are installed, the cladding is usually attached to the rail segments. 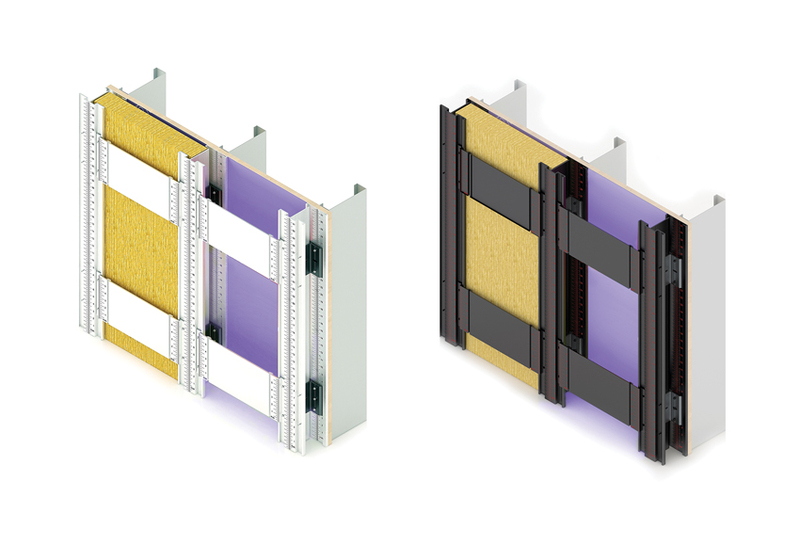 Some cladding designs may leave openings between panels to encourage airflow, while others may include additional elements to cover the gap between panels. Rail and cladding installation may sound relatively straightforward, but both are subject to the same basic challenges encountered when doing something as simple as hanging pictures on a wall. In theory, the task should be simple, but in practice, it takes precise measurements to ensure that the pictures are both level with and plumb to the floor. A frame that is a fraction of an inch off at one side can result in a much larger difference on the other side. 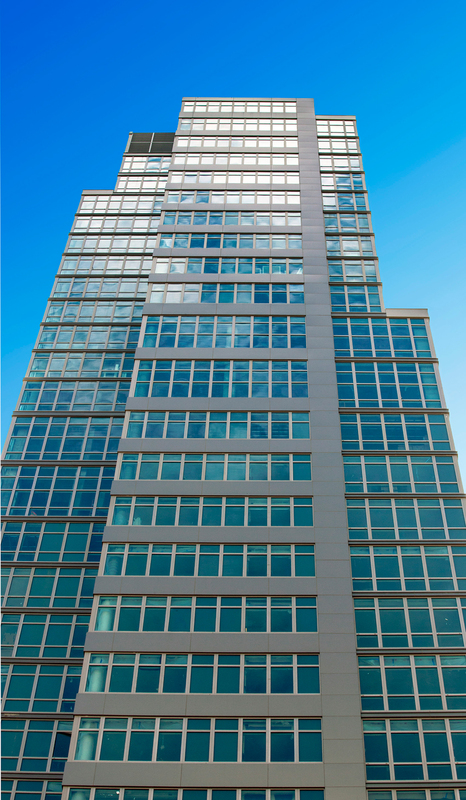 While hanging pictures can be time consuming and often frustrating, that task is greatly magnified when installing a cladding attachment system on a multistory, possibly hundred-foot-wide building. The attachment rails need to be precisely attached so that they are both level and plumb; an error can offset the rest of the facade. More importantly, errors can increase costs in time and labor, as well as additional costs through the repercussions of errors. Some of these errors can impact the health, safety, and welfare of installers and building occupants. It is important to remember that proper alignment must be accomplished during installation, as leveling and plumbing are not possible after installation. The flexible installation options of modern cladding systems allow for greater design choices for architects. Traditional rail systems for cladding are time consuming to install in part because they require a complex substructure to be built prior to the installation. The complex nature of the substructure adds both time and labor costs; as noted above, precision is key to ensuring that the rails—and thus the cladding—will be level and plumb. In the case of multifamily residential properties and commercial buildings, the cladding likely will be attached to the supporting steel structure, which will require time and labor in addition to affixing the rails. Rail installation needs to be precise, and a large barrier to this is workmanship errors. Sometimes an error is as simple as a screw or other fixture attaching the rail not properly anchored to the building frame. On a residential home, for example, a screw may be mounted through the insulation and catch the edge of a stud rather than being well supported in the middle. Once the rail and panels are installed, that leaves the fixture vulnerable to failure. On larger projects, a railing system might be installed in a manner that is slightly off kilter, and that mistake won’t be evident until the cladding is being installed; it will take time, labor, and additional costs to fix the error. Workmanship errors typically occur when installers deviate from the manufacturer’s installation instructions. However, sometimes the errors stem from situations when the field conditions are different from the product’s or building’s intended design. In either case, such errors can result in tolerance issues as well as improper anchoring. Errors can also prompt water intrusion as well as lower thermal performance. Load transfer is a critical aspect of cladding installation. The three key loads that need to be considered are dead loads (gravity/the weight of the cladding system), wind loads (changes in air pressure), and movement loads (including earthquakes). Given these loads, the attachment system needs to be secured in a manner that can handle the various load transfers. That is, the system itself needs to be secured to the substructure, and the cladding panels need to be secured to the rails. Every piece of the system should be proven to be as strong and as safe as possible, and also capable of transferring the load from the cladding into the substrate. To go back to thermal bridging, the load transfer issue is one place where things can get tricky when installing a support system for cladding. In order to properly transfer the various loads, the attachment system needs to be firmly secured through the building envelope and into the substructure with fasteners that are usually metal and thermally conductive. Large-scale projects can incorporate continuous insulation and also minimize thermal bridging when specifying modern cladding systems.